Robert M. Shipley Jr., a bespeckled, quick-tempered young man who liked to drive fast and had a genius for innovation, joined his father at GIA in early 1933. His creative tinkering forever changed the way jewelers and gemologists around the world did business. The gem-testing equipment he designed made it possible to apply accurate gem-grading standards and made his father’s dream of gemology as an ethical, professional discipline a practical reality. While the father wasthe magnificent salesman of the gemological idea, it was the son who gave it a solid scientific backing. Shipley Jr. quickly realized the advantage of dark-field illuminationin examining the interior of gemstones. He combined the idea with low-power stereoscopic magnification and produced the first DiamondScope, which he patented in 1938. 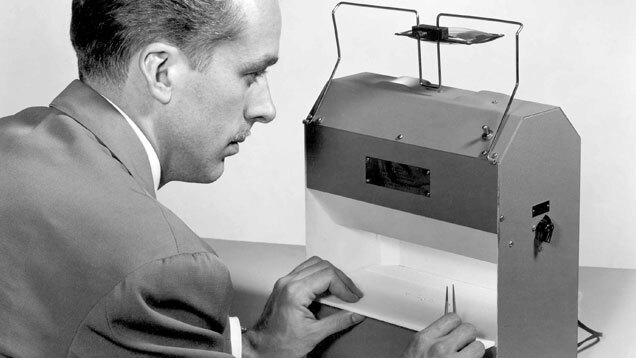 Inspired by Edwin Land’s work at Polaroid, and with the help of French tool-and-die maker Raoul Francouer, he developed the first gem polariscope. Over the years, he also helped modify and perfect the refractometer, the Diamond Colorimeter, the Diamolite (later redesigned and named the DiamondLite), the Pearloscope, the Universal Motion Immersion Stage and the Mark III GemoLite microscope. Shipley Jr.’s work inspired a band of gemological brothers to follow in his footsteps. Lester Benson, Kenneth Moore and Gale Johnson strove to meet the needs of the industry as the challenges of gem identification shifted and changed over the years. 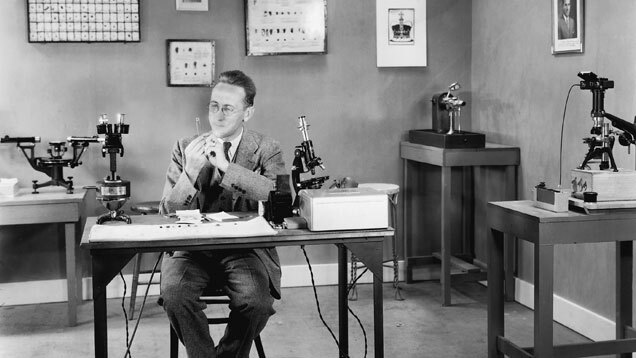 Benson’s contributions to gemology started shortly after he joined GIA in 1948, when developed the method of taking spot Refractive Index (R.I.) readings that is indispensable to gemologists today. To take advantage of this new technique, he later designed the first GIA Duplex Refractometer. His other contributions were equally far-ranging: he designed a pearl-testing X-ray unit, a base for gemological microscopes, and electrical conductometer, a light fixture with multiple baffles that turned florescent light into multiple spots and GIA’s Jeweler’s Camera. An expert in gem identification and photomicrography, he also redesigned the lab’s X-ray diffraction unit and adapted the spectrophotometer for gemological studies. 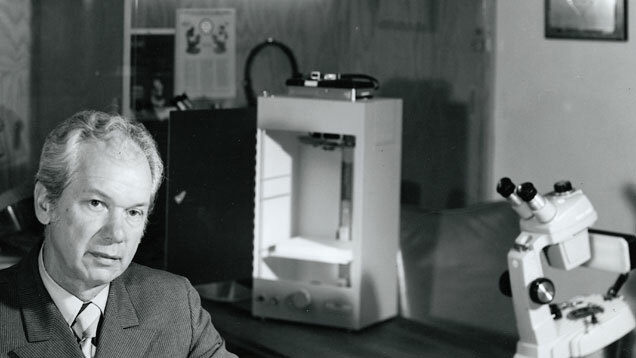 Shipley Jr. had begun his own instrument-manufacturing company after World War II, but when his interest in gemological instrumentation faded in the 1950s, he gave up the business. Benson, Moore and Johnson filled the void with iterations of the business until GIA bought it in 1966 and created GEM Instruments. The company grew steadily in the 1960s and ‘70s and created the ProportionScope, Mark V GemoLite microscope and overhead light, the GIA Illuminator Polariscope, the GIA Duplex Refractometer and the MiniLab. It introduced the revolutionary ColorMaster, designed to take the guesswork out of color-assessing colored gemstones, in 1980. This latest instrument set GIA firmly on the path of using special electronics in its equipment. At about this time and moving into the 1990s, GIA began to expand its product line to include electronic instruments that could detect diamond simulants. This equipment was created by other companies, but GIA’s research team often suggested adaptations to improve their features. GIA also began the shift in early 2000 to more advanced computer-based instrumentation designed to screen natural diamond from synthetic diamonds and simulants. Today, the instruments division is focused on meeting the needs of GIA research and education around the world and making sure its products meet global safety standards and regulations.